Why He’s Top 40: He’s preparing and inspiring future doctors to be the best in their fields. 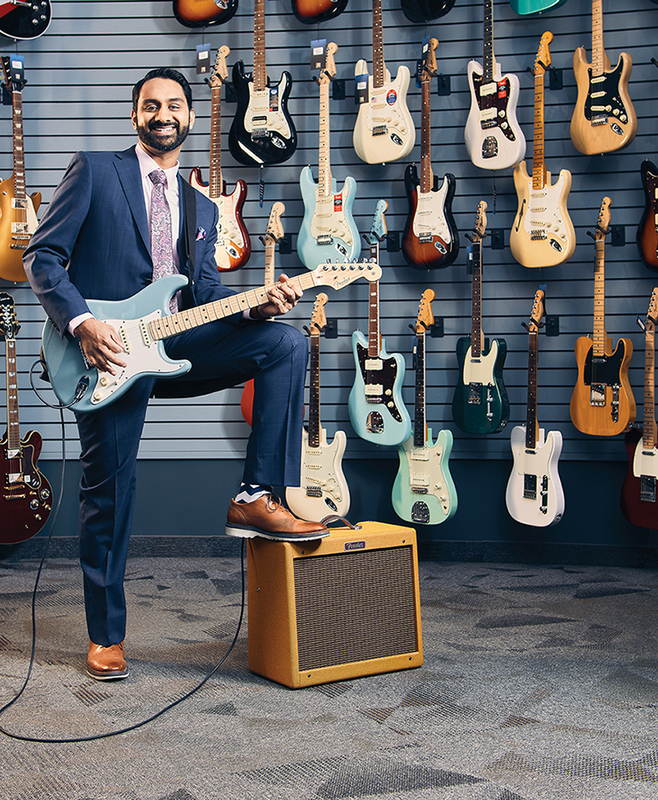 Though he once considered a career in music, Vijay Daniels now lives out his dream as both a doctor and an educator. Not only is he an associate program director for assessment within the Internal Medicine Residency program at the University of Alberta, he is also the director of clinical assessments for the M.D. program, which determines how one can become a better doctor, rather than on a pass or fail basis. He ensures that the exam results come back to students within a couple weeks, comments included, putting the learners in charge of their improvements. “We need to maximize the feedback potential of all assessments, be it more formalized tests or the informal daily opportunities for feedback,” says Daniels. The main focus is to allow students to grow in all areas. “By shifting to that mindset, absolutely everyone should be able to document on a reflection…everyone has something to learn and I think that can really help psychologically and open them [students] up to negative info,” Daniels says. Giving back to the community is also important to Daniels, which ties back to his career in medicine. The Herb Jamieson, a medical unit attached to the Hope Mission shelter, is one example. Daniels donated money to the organization’s rebuild, which spurred his conversations about generosity with his students. While his dreams of pursuing music took a backseat, Daniels knows he is where he is meant to be. In addition to his multiple awards, fundraisers and recognition as a mentor, he continues to push topics of conversation that many avoid.